The Land for Tomorrow coalition commends Governor Cooper for providing increased, reliable funding for land and water conservation in his recommended budget. Restoring a portion of the real estate conveyance tax to the state’s conservation trust funds as it was originally intended will help provide stable funding for the Clean Water Management Trust Fund, the Parks and Recreation Trust Fund, and the Agricultural Development and Farmland Preservation Trust Fund. The Governor’s budget proposal aligns very well with Land for Tomorrow’s goals to increase recurring appropriations and re-establish a dedicated revenue stream to stabilize the trust funds, by dedicating a portion of the state’s share of the deed stamp tax. The dollars appropriated by the state and granted by the Clean Water Management Trust Fund, Parks and Recreation Trust Fund, and the Agricultural Development and Farmland Preservation Trust Fund are leveraged dollar for dollar to build a healthy and thriving economy for North Carolinians. 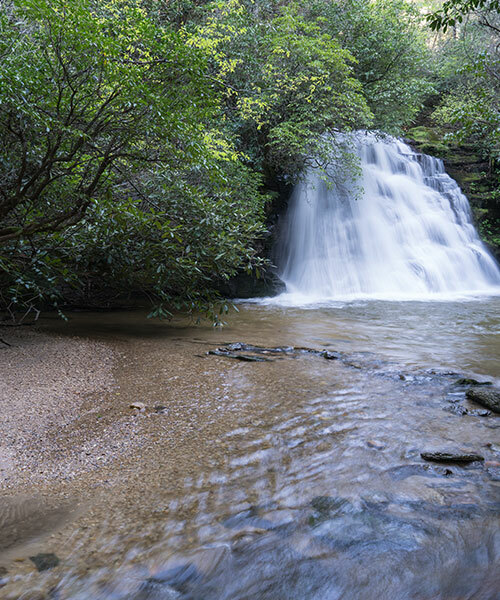 Continuing to invest in the state’s conservation trust funds is critical to continuing to establish North Carolina as an exceptional place to work, live and raise a family. The members of Land for Tomorrow commend the Governor’s recommendation to add an additional nonrecurring $10 Million to the ADFPTF to help the state match federal US Department of Agricultural and Department of Defense farmland preservation funding; and allocate 35 percent of the apportioned Deed Stamp Tax proceeds to CWMTF and PARTF and 15 percent to the ADFPT and NCHTF, equating to an additional $6.55M each to CWMTF and PARTF and $2.8 M to the ADFPTF in recurring revenues. We look forward to the coming short session where we will work with members of the General Assembly to establish an amended budget that continues its support of strong investment in conservation in support of the agriculture, military, tourism, hunting and fishing, and a $37.6 billion outdoor recreation sector that supports 260,000 North Carolina jobs.